"The extreme South of Madagascar"
Cape Sainte Marie or "Tanjona Vohimena" and its cliffs. It is here that the two oceans meet: the Indian Ocean and the Mozambique Channel. A functional lighthouse predominates this sea swept by a permanent strong wind and which will have no other shore than the Southern and South Pole. The spectacle of the migration of humpback whales from June to October is magical. 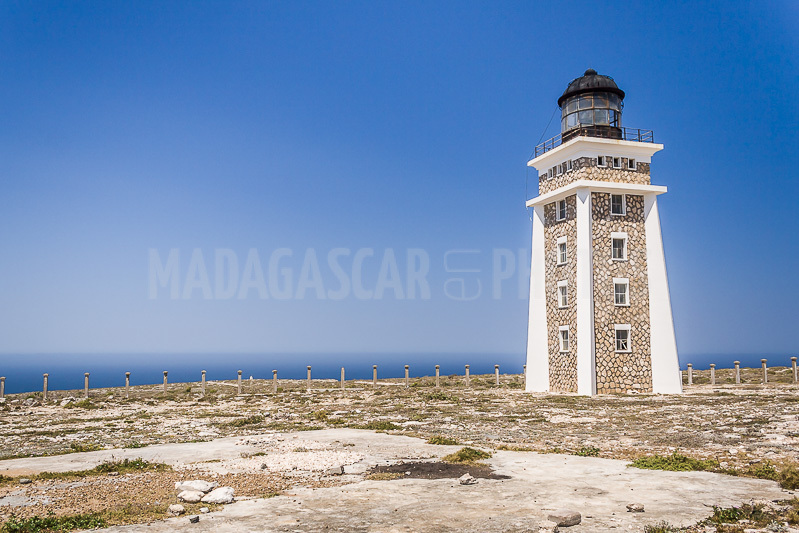 We are at the tip of the extreme south of Madagascar. It is also the kingdom of the tortoise "radiata" or "Sokatra" in Malagasy. There are no less than 1000 per square mile! It is a key element for the survival of the local flora. By feeding on plants, it adds essential nutrients to sterile soils and promotes seed germination. Unfortunately it becomes an increasingly rare element of the ecosystem because of poaching. The remains of the elephant bird, a mythical bird of a height of 10 ft, were found in the Cape Sainte Marie Special Reserve (6,75 square miles) and the female was laying an egg that could hold up to 8 liters of volume. Whole or reconstituted eggs can still be found decorating the salons of wealthy residents throughout the island. The elephant bird would have lived in the South of Madagascar 700 years ago and would have been exterminated by man. For a long time, and according to the calculations of Portuguese navigators, Betanty was considered as the most southern village of Madagascar. Calculation proved false later, this distinction was attributed to Cape Sainte Marie. In compensation, Betanty was nicknamed "False Cape". It is nonetheless a very beautiful fishing village and a lagoon protected by a rocky barrier.